Epidural steroid injections have been used since the 1950s to provide pain relief, particularly from pain originating from the spinal cord. 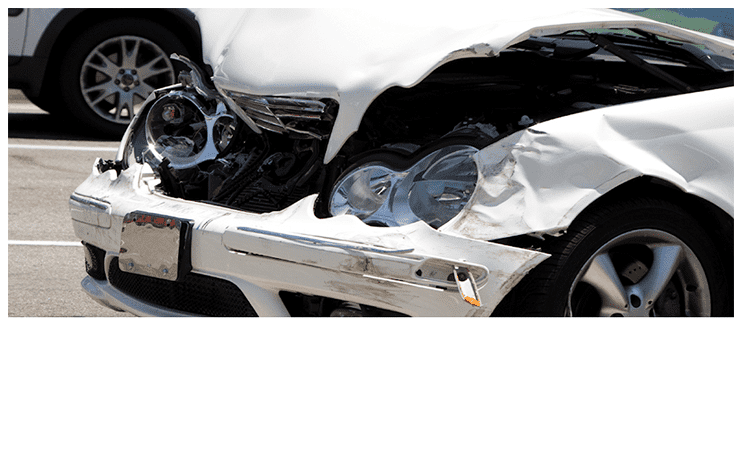 It is an invasive procedure usually considered after initial conservative management has failed. While the technique provides effective pain relief by itself, it can also be used as an adjunct to physical therapy and rehabilitation. The pain relief lasts anywhere from a week to a whole year, depending on individual circumstances. Patients who receive epidural injections may need several procedures every year. The epidural space is the anatomic space outside the dura mater, which contains many important structures, such as the spinal nerve roots, venous plexuses, the lymphatic system, blood vessels and fatty tissues. 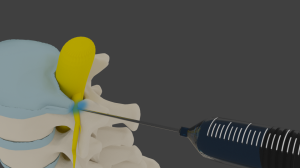 An epidural injection delivers steroids directly into the epidural space, providing relief by suppressing the inflammatory response, reducing irritation and swelling of the nerve root, relieving the mechanical and chemical sources of pain. The most commonly used steroids include dexamethasone, methylprednisone, and other corticosteroids. The operation begins when the surgeon with the insertion of the needle into the injection site. There are three different approaches to the epidural steroid injection: caudal, transforaminal, and laminar. The injection is done under fluoroscopic (X-ray) guidance, although other imaging techniques may be used. 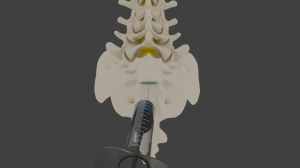 Caudal epidural injection: With the caudal approach, the needle is inserted from the bottommost (caudal) area near the sacrum (tailbone). Transforaminal approach: The transforaminal approach injects the steroid into the opening of the spine (foramen) where the nerve root exits. There is a “root sleeve” that exists just outside the spinal canal; hence, the procedure is also known as a “root sleeve block”. 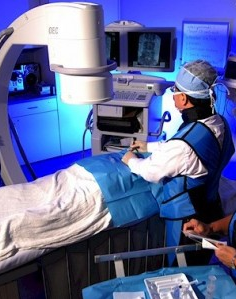 This technique is preferred to the caudal approach because of the shorter operative times and lower radiation exposure from fluoroscopy guidance. 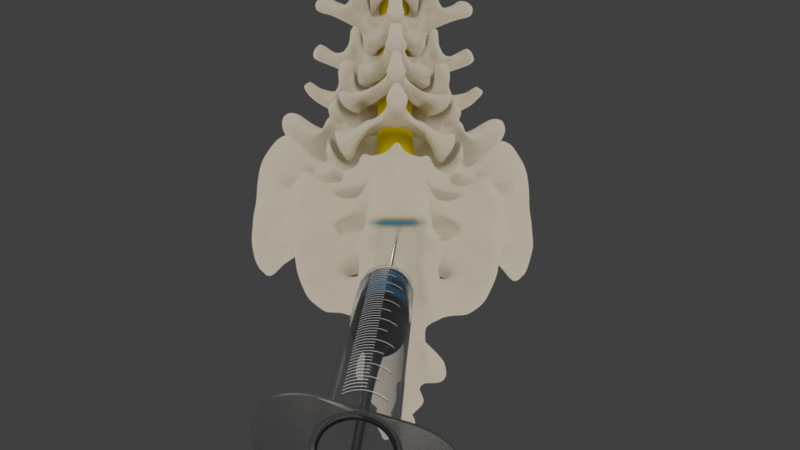 Laminar approach: The laminar approach injects the steroid from the back of the patient. This technique has also been shown to be effective in providing pain relief. The anesthetic and/or corticosteroid are injected once proper placement is confirmed. 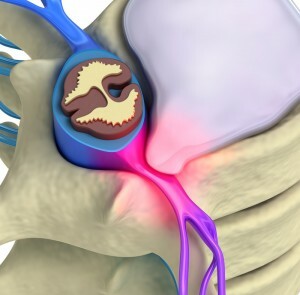 A successful procedure is indicated by an immediate relief of pain. range of motion that triggers the pain: if the pain is absent following the injection, the patient is observed for 20 to 30 minutes before being sent out for recovery. The patient may be sent home on the same day if no complications are noted. Success rates are typically high for this procedure. More than 80% of those undergoing the procedure for lumbar disc herniation report success, while 75% of patients undergoing the procedure for spinal stenosis report more than 50% reduction in pain over a year. As with any procedure, there are risks with epidural steroid injections. Patients may suffer from infection of the surgical site, intraoperative damage to muscles, nerves and tissues, or bleeding and hematoma formation. 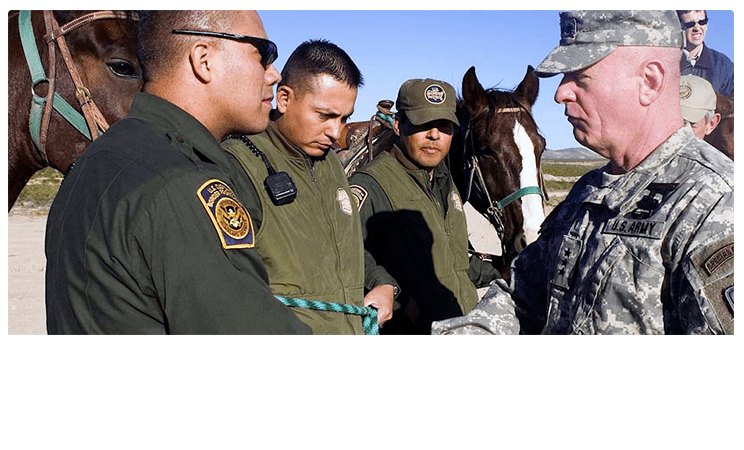 It is advisable to discuss the procedure with an experienced Arizona workers compensation doctor prior to giving consent.